You raise both arms in defeat and claim, with a sour face, that exams can’t be survived in Ramadan, especially not in the scorching heat of May’s mornings and afternoons. A theatrical defeatist tilt of head confirms the sad truth that it’s absurd to imagine studying without caffeine, studying after suhoor or iftar, studying on a festive family gathering, or studying when one would rather give in to the temptation of watching endless episodes of TV series during the holy month. It is an altogether impossible task to ask of a poor, pitiful, procrastinating, decaffeinated student. At least, that is what I, like you, used to believe. It is not truly impossible to study while fasting. 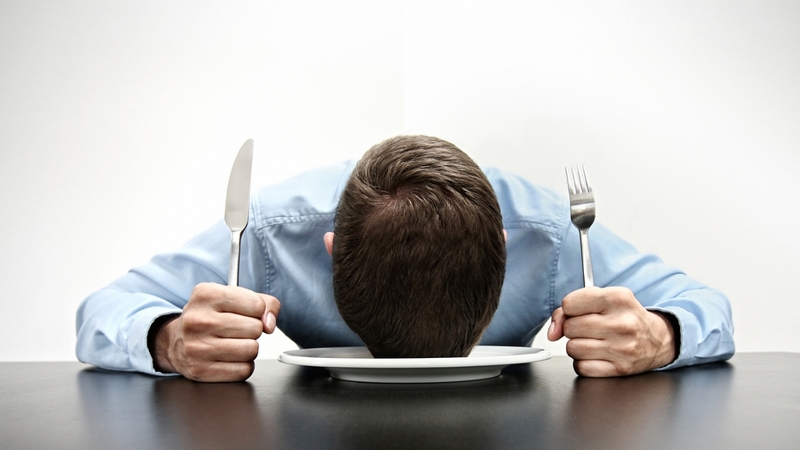 In fact, surprisingly enough, fasting can boost our productivity and raise our focus levels. You wouldn’t believe it unless you listen to how fasting bolsters our brain power here or watch Egycology’s video on fasting and studying here. Scientific facts aside, I’m here to stand up for the fact that Ramadan should not be the culprit or scapegoat for the casual lethargy we, students, usually indulge in. I’m not saying we pretend to be particularly sleepy and tired, but I don’t want you to give in to that feeling of wanting to crash. What’s the way out? We just have to cleverly hack our brains to study during Ramadan. Ramadan necessarily shifts your meal times. With two time slots fixed in your schedule, you can accordingly insert your study sessions. For example, you can study from 8 to 11 PM, take a nap before Suhoor, and start afresh afterward. The key is to customize your schedule to be in line with the curves your energy levels take. Your productivity curve basically shows when your brain freezes (before iftar?) or becomes super alert (around midday?). With that in mind, you could finish up your low impact studies before your usual slump and conquer the high-attention ones when you’re at your peak performance. Gatherings can steal away precious revision time! Ramadan has its own set of unavoidable time thieves. Granted, Ramadan family gatherings are unmissable, even if they gnaw at the few hours one has. TV series, on the other hand, can be willfully resisted. You can always compensate by going on post-exams TV-series watching binges. So, how can you balance studying with family or friends’ iftars? What I suggest is to calculate the number of active hours you’ll be able to dedicate on those days you’re invited to an iftar or when you host one yourself. Reschedule those days’ study sessions and break times accordingly; your post-iftar studies can be shifted to an earlier time, for example. Or you can be antisocial during the holy month. Your choice..
Ramadan already grants you two fixed meal breaks, possibly one or two naps in between, and time for azkar, unlike any normal day. Other than that, you are still in full control over your day. When you get tired, take a short nap or go for a walk, as far as possible from good-smelling restaurants! If you wish to break your study sessions by watching 5-10 minutes of your favorite TV series, then go for it. You may also read or listen to a few verses of the Quran. Whatever keeps you going, you know yourself best! Yes, you don’t have to be the vanquished student, begging for instructors’ mercy. Instead, you can be a valiant stalwart, mercilessly slashing down unnecessary notes, gutting curricula, and culling the cores of lecture recordings, readings, and presentations. Believe me, when you pinpoint when you usually zone out while fasting, you’d be taking down your biggest hurdle. What are your own tips for studying in Ramadan? What do you do to keep yourself motivated? Share them with us! When you feel that a college-related panic fit is around the corner, make sure to drop by at Students' Hub to chat about it. I'll be here to respond to your worries. Great article by a very, very talented writer! As a “poor, pitiful, procrastinating, decaffeinated student,” with emphasis on ‘procrastinating’, I relate and appreciate this very much.